Make sugar syrup by adding water n sugar in a wide pan, let it boil. Knead the chhena / paneer well by your palm to make a soft dough. Divide the dough and make lemon size balls, roll it over with little flour (maida). Add the balls slowly one by one to the sugar syrup and boil for 15-20 mins in medium flame. When the sizes of balls increases and it would be comes to double in size, remove it from flame. Sprinkle cardamom powder and keep aside. Mix the mango pulp and curd together and blend it to make a smooth mixture. If you need can also add little sugar to it (as your choice). 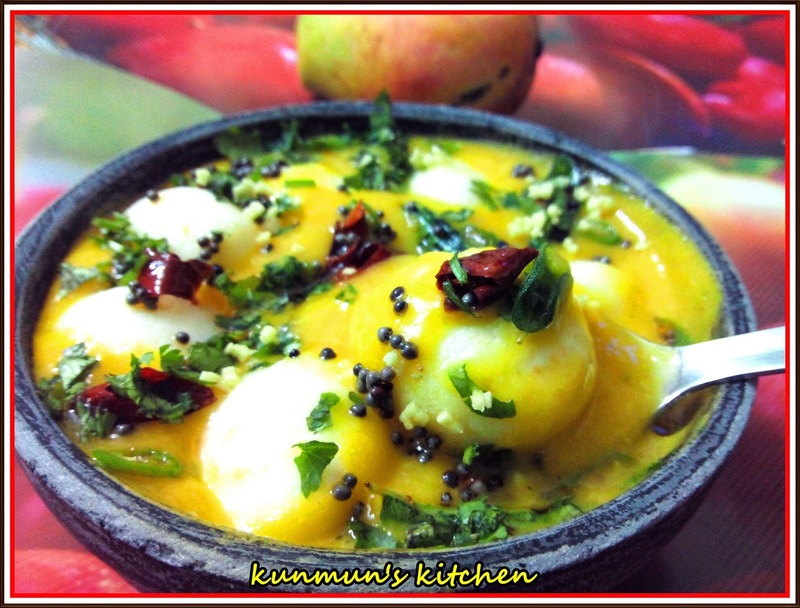 Put the rasgullas into the mango mixture and keep aside. Heat oil in a frying pan. 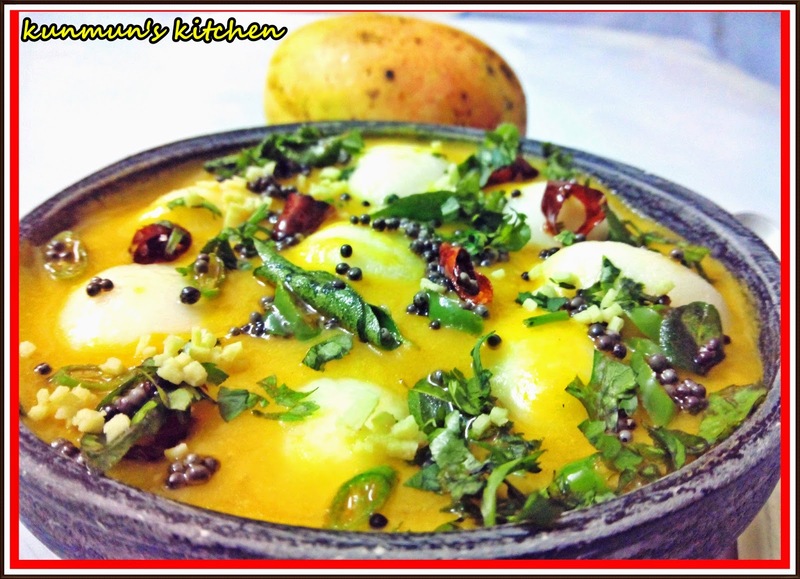 add mustard seeds, curry patta, dry red n green chopped chilies, hing n pour into the mango mixture, spread some chopped coriander n mango ginger. Serve chilled or in normal temp. Enjoy the dessert !! !